All teams are required to book a minimum of 2 rooms at the tournament hotel on the evenings of May 22, May 23, and May 24, 2008. Your team's registration will not be accepted until the hotel reservation requirement has been met. Additional rooms are available through the hotel on a first come first served basis. All reservations are charged to your credit card immediately. There will be no refunds from the hotel, as this is part of the hotel contract that affords us this group rate. A block of rooms have been reserved for May 18, 2009 - May 28, 2009. The special room rate will be available until April 21st or until the group block is sold-out, whichever comes first. All rooms are two room suites (separated bedroom and living room) and contain 2 double beds in the bedroom plus a pull out sleeper sofa in the living room, or one king bed in the bedroom plus a pull out sleeper sofa in the living room. A cooked to order, all-you-can-eat breakfast buffet is included with your stay. The hotel is located only minutes from the airport (approx 2 miles from the car rental terminal).Booking a reservation from our site is simple. To begin the process, click on "Book a Room" below to receive your preferred rate. 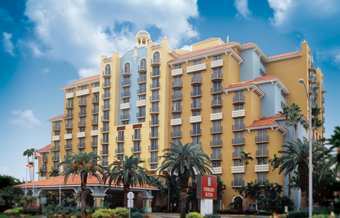 The Embassy Suites Fort Lauderdale-17th Street hotel is centrally located to almost all of coastal south Florida. Port Everglades is within walking distance, as well as many shops and restaurants. 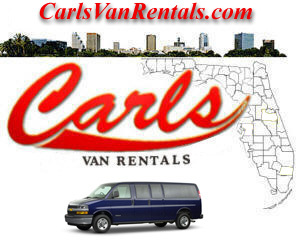 $599/week for 12 & 15 Passenger Vans. • Your vehicle is 100% Guaranteed to be ready for you. • No Underage Driver fees for drivers aged 21-24. • Two drivers per vehicle at no additional charge. Once all available rentals fill up, there will be no more reservations taken. * Collision Damage Waiver $19.99-$29.99 per day * Personal Accident Insurance $5.40 per day * Supplemental Liability $15.45 per day.